I don’t know about you, but I’m already thinking about shoes for next fall/winter. For this Fashion Crush I was thinking about picking a pair of boots, then I thought of something more “transition” and I saw these Miu Miu glittered sandals. And I fell in love. 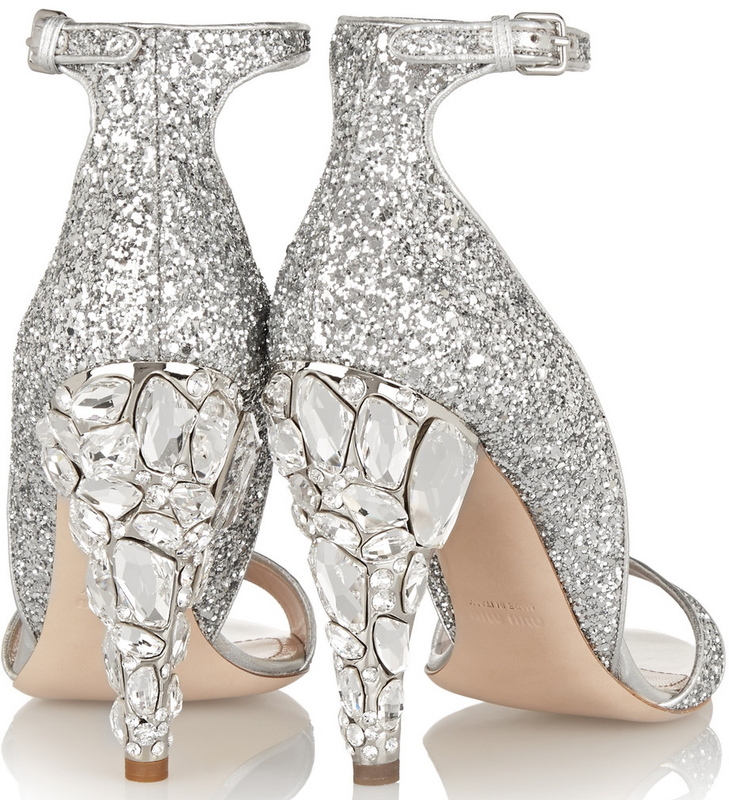 They’re silver, glittery, the heels are embellished with Swarosvki crystals… they’re perfect in short (aside from the price). Non so voi, ma io sto già pensando alle scarpe per il prossimo autunno/inverno. Per questa Fashion Crush pensavo di scegliere un paio di stivali ma poi ho visto questi sandali di Miu Miu ed è stato amore a prima vista. Sono argentati, glitterati, con il tacco decorato con cristalli Swarovski… insomma perfetti (a parte il prezzo).